Designed from the ground up, The Sign Exchange is the new must-attend event for sign industry professionals. Stay current on the latest processes, network and discover new technology that will take your business to the next level. The Sign Exchange is known as the Buying Show. Make investments in your sign company. This is the last show before the end of the year. Make sure 2019 ends on a high note! The show offers free admission with registration to the show floor as well as free seminars, demonstrations and workshops. Over 200 exhibitors in one of the most exciting venues on the east coast! You will find innovations in wide format printing, digital signage, LEDs, software, and solutions to grow your business and become more profitable. BRAND NEW FOR THIS YEAR! You're invited to the new pool party in the dome at Harrah's. Unwind after the show and network with your colleagues. 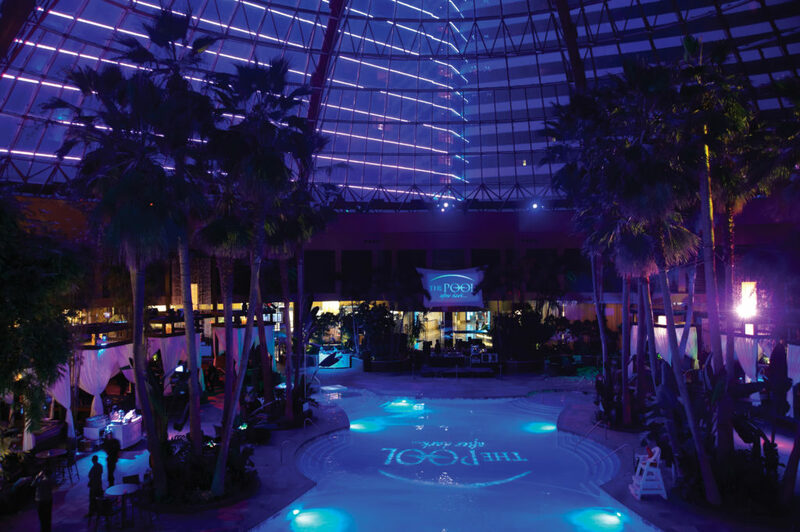 The Board of the USSC Foundation invites all Attendees to a spectacular new event: POOL PARTY IN THE DOME AT HARRAH'S. Palm trees and climate controlled. Enjoy open bar and refreshments with bathing attire optional. Private cabanas are available - live DJ - heated pool. Friday, November 22nd, 2019. 9:00pm to 11:00pm. Enjoy Harrah’s dynamic event space. Harrah’s offers new and newly-renovated hotel rooms at great rates for The Sign Exchange, a heated indoor swimming pool with a glass dome, and over twelve (12) bars and restaurants ready to serve, all under one roof. And Harrah’s is easy to get to from most major cities and airports.